This is the best place to find all of the newest tips, resources and time sensitive information on the cloth-diapers-online.com website. If you'd like to be notified each time a new article is published on Cloth Diapers Online, simply subscribe to the RSS feed for this page. To subscribe to the RSS feed, (no e-mail necessary), simply right click on this orange RSS button then copy and paste the URL of this site's RSS feed into your RSS reader. Folding diapers using the bikini twist. Here are instructions for the bikini twist and links to other useful cloth diaper folds. How to fold cloth diapers using the trifold technique. Here are instructions for the trifold technique and links to other techniques for folding cloth diapers. Continue reading "How to Fold Cloth Diapers"
How to fold diapers using the angel wing fold. Here are instructions for the angel wing fold and links to other useful cloth diaper folds. Continue reading "How to Fold Diapers"
Diaper folding is quite simple. Here are instructions for the newspaper fold and links to other useful cloth diaper folds. The Iplay Swim diaper offers an excellent, money saving alternative to disposable swim diapers, and I Play offers several smart reusable swim diaper style choices to suit your needs. Continue reading "Iplay Swim Diaper"
Kanga Care offers a line of accessories that match and work well with their Rumparooz and Lil Joey cloth diapers. 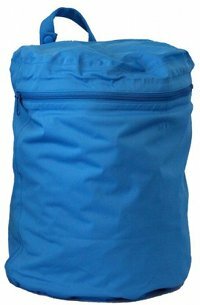 Learn more about wet bags, diaper pail liners, diaper insets and diaper liners available from Kanga Care. Continue reading "Rumparooz - Kanga Care Accessories"
Rumparooz are one size pocket cloth diapers. They are part of the Kanga Care line of cloth diapers and feature a unique double gusset for extra leak protection. 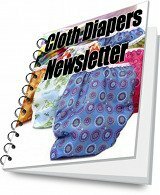 Subscribe to the Cloth Diapers Newsletter so you don't miss a single new article about using cloth diapers. Continue reading "Cloth Diapers Newsletter"
Blueberry Diapers one size cloth diapers are gorgeous pocket diapers that are designed fit babies from 10 pounds to 35 pounds. Click here to learn more about Blueberry Diapers one size cloth diapers. Continue reading "Blueberry Diapers One Size Cloth Diapers"
Blueberry Diapers All in One (AIO) cloth diapers are available in the standard Basix cloth diaper as well as Blueberry Trainers, which are toddler training pants. Discover more about Blueberry Diapers AIO cloth diapers. 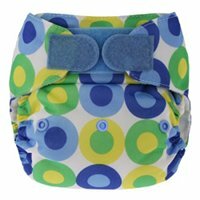 Continue reading "Blueberry Diapers - AIO Cloth Diapers"
Blueberry Diapers are a very cute line of diapers which include aio cloth diapers, one size pocket diapers, one size diaper covers and a few diapering accessories. Learn more about the features to look for the Blueberry Diapers line of cloth diapers. A cloth swim diaper is an economical option and loved even by parents who use normally disposable diapers. Continue reading "Cloth Swim Diaper"
Cloth diaper liners make diaper changes and cleanup extremely simple. Discover how to use cloth diaper liners and find popular brands that carry flushable diaper liners. Continue reading "Cloth Diaper Liners"
Cotton diapers are the most common type of cloth diapers. Cotton is relatively inexpensive andabsorbent and comes in a variety of types to meet different needs. Terry diapers are absorbent and durable. 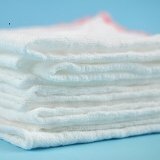 Several popular brands use terry cloth for the inner, absorbent layer of their diapers, as well as for soakers and wipes. Here you'll find information about types of terry cloth fabric and popular brands that sell terry diapers. Baby BeeHinds are based in Australia, but they sell world-wide, with retailers in North America, Europe, Asia and New Zealand. Happy Heiny cloth diapers feature pocket diapers in several styles including one size cloth diapers and organic cloth diapers. Learn about Happy Heiny cloth diapers and accessories. The Bum Genius line of cloth diapers features all in one cloth diapers in several styles, and also includes a full range of cloth diapering accessories. Learn about bumGenius cloth diapers and accessories. Here are all of the Kushies diapers and accessories - Kushies baby cloth diaper products reviewed on Cloth Diapers Online. 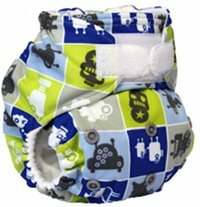 Find Fuzzi Bunz diapers and accessories - Information about Fuzzi Bunz diapers and cloth diapering accessories. Continue reading "Newborn Cloth Diapers"
Discover the benefits of fleece diaper covers and find out which companies offer fleece diapers. 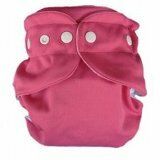 Continue reading "Fleece Diaper Covers"
Information for choosing the best preemie cloth diapers for your baby. Discover which brand carry preemie diaper sizes and how to choose the best type of cloth diaper for your baby. 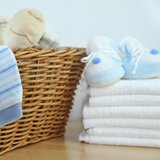 Continue reading "Preemie Cloth Diapers"
Soapnuts are an interesting alternative to traditional laundry detergent. Discover the pros and cons of using soapnuts in your laundry. Soap nuts can work as a good natural laundry detergent. Learn two ways to use soap nuts. Diaper doublers are a great solution for using cloth diapers at night or with heavy wetters. Learn all about using cloth diaper doublers. Flushable diaper liners make cleaning cloth diapers a breeze. Learn all about using flushable diaper liners. Continue reading "Flushable Diaper Liners"